A Medford man was shot in the face early Monday morning in the driveway of his home, police said. 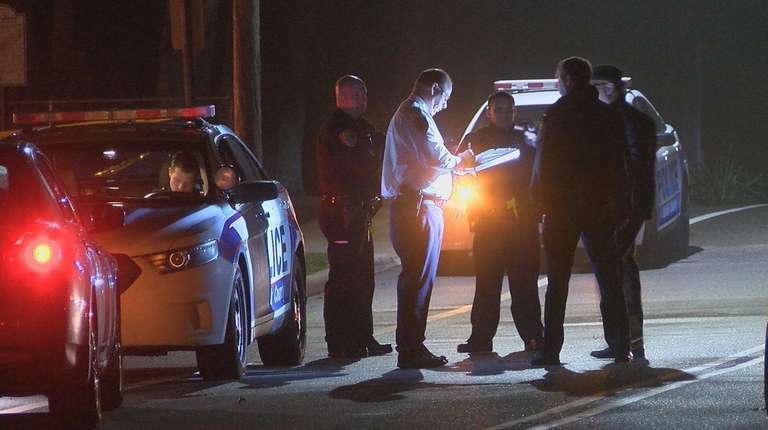 Rondell Blue, 27, was sitting inside his car on Wilson Avenue near Carr Lane when an unidentified man walked up to the vehicle and fired one shot, striking Blue in the jaw, Suffolk County police said in a news release. Police said the shooter was seen getting into a nearby parked vehicle and fleeing. The shooting occurred at about 12:30 a.m., according to police. “There is no indication at this time that the shooting was gang-related,” police said. Police did not release a description of the getaway vehicle or the type of bullet. Blue went inside the house and was taken to Stony Brook University Hospital for treatment of serious injuries that were not life-threatening, police said. Suffolk police Sixth Squad detectives are investigating the shooting. They asked anyone with information to call the squad at 631-854-8652 or Crime Stoppers at 800-220-8477.